Vi is pretending she's shy ..that's her hiding behind Joan! 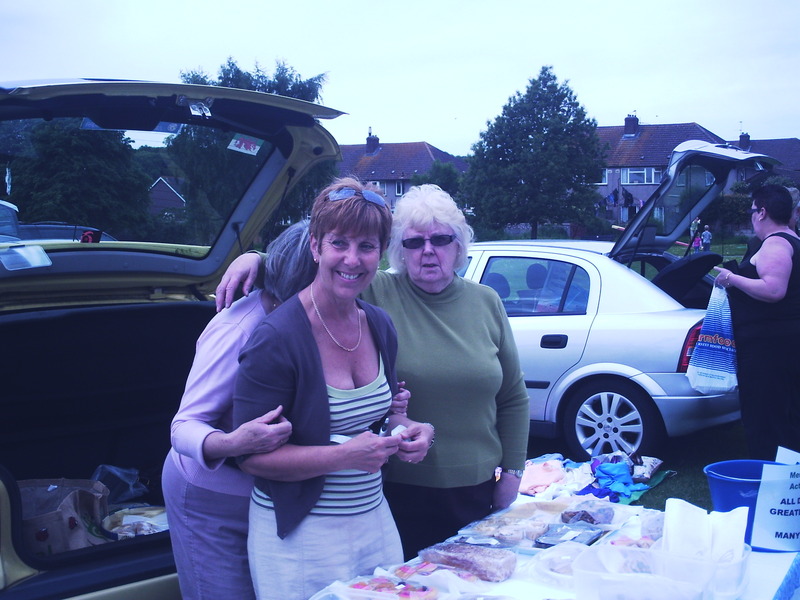 These ladies pulled out all the stops again on the cake stall..and raised £150.00 with their cakes,plants and donations. 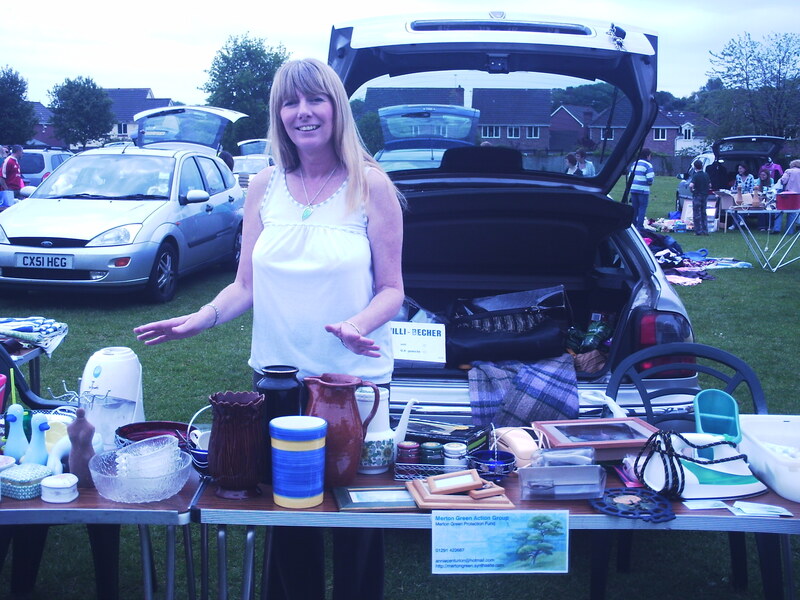 Karen,Peggy and Anne-Marie were not sure how they were going to get rid of all this bric a brac...then came Dot!! 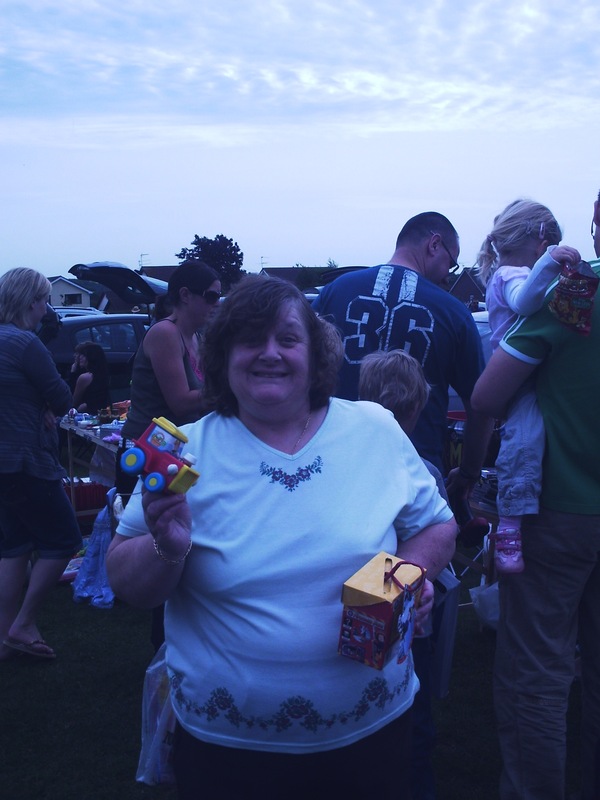 Dot we believe you could sell anything to anybody..you were a star!! The grand total came to £190.00!! We can't believe how we do it ..we think we must have broken a few records for sales at Caerwent this year!